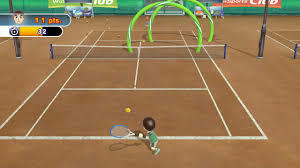 I had so much fun with Wii Sports Club: Bowling especially online against other clubs, but the first thing that hits you when playing Wii Sports Club: Tennis is how much lag and connectivity issues there are when playing the game online. At points it can almost be impossible to play because of the lag. The local multiplayer is as good as it has always been and is as fun as ever. The controls are actually worse than they were in the Wii Sports version of the game unlike the improvement that was seen in Wii Sports Club: Bowling and it makes hitting the ball properly much too challenging. The game looks beautiful in HD, but once again the graphics aren't much better other than the resolution than they were in Wii Sports. Custom Miiverse messages and other can be used to jeer your opponents during the game which I thought was a nice touch. I really enjoyed the court sounds and music in this game. I think Wii Sports Club: Tennis is a fun game with so much to do with only the technical issues preventing it from being a fantastic game. 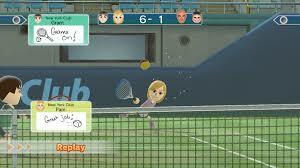 I still think the game should be considered if you don't already own Wii Sports. The online instability ruined this game for me. A 6.5/10 seems fair in all honesty. I agree the online mode has too many issues that should have been dealt with before the game was released lol. There is no excuse for how bad the online runs in this game. Too bad the online doesn't work very well. The online lag is really bad..
Whoa I wasn't expecting this game to get such a low review score! Looks like I should pass on this game. Great review, but the score seems a bit harsh. Nice work @Clαππαd your review is amazing.